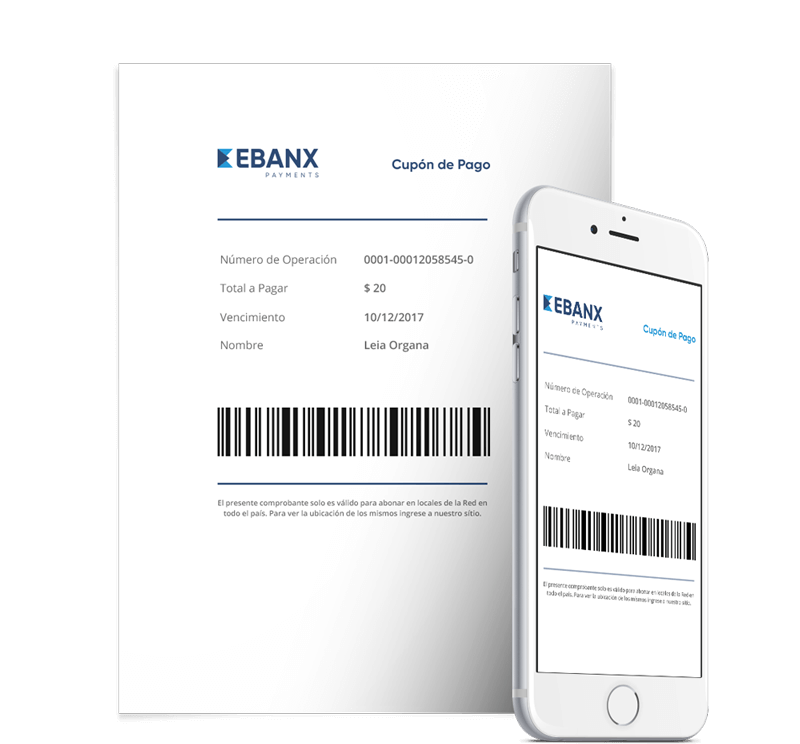 The EBANX Cupón de Pago is a printable voucher with a barcode that allows any Argentinian to shop online and pay via voucher or in one of the many affiliated stores all over the country. Even with a huge number of banked citizens, 44% of online purchases are still made in cash in Argentina. Therefore, to reach all the population you must offer voucher payment methods, such as the EBANX Payment Coupon. With this solution your customer can choose between more than 12.000 stores or agents to pay for his purchase in cash! 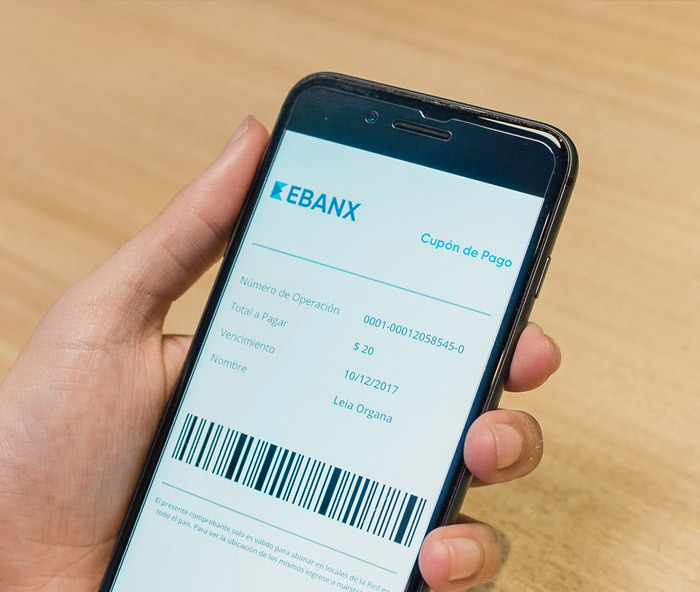 The most famous payment collectors accept EBANX Coupon: PagoFacil, RapiPago, CobroExpress, Pampa Pagos, Bapro Pagos, Pagolisto, Chubut Pagos, Provincia Pagos, Formopagos, Pronto Pago. The customer chooses Coupon as the form of payment during checkout. EBANX issues a unique code for this purchase: the EBANX Cupón de Pago. The consumer has up to 3 days to pay their EBANX coupon in any affiliated store. Payment confirmation in less than a day. Install the EBANX plugin and start selling now. A few lines of code. A delightful checkout experience. Create a payment link in seconds and send it to your customer. Sell to 100% of Latin American customers by offering their favorites payment methods. What is similar to Cupón de Pago? Many other countries in Latin America use voucher payment methods for online purchases. Increase your sales by offering local processing and accepting all Latin American cards.